I can’t believe 2010 is almost over! So much has happened in one year! All great things and very rewarding for me! 2010 was the year of big changes. 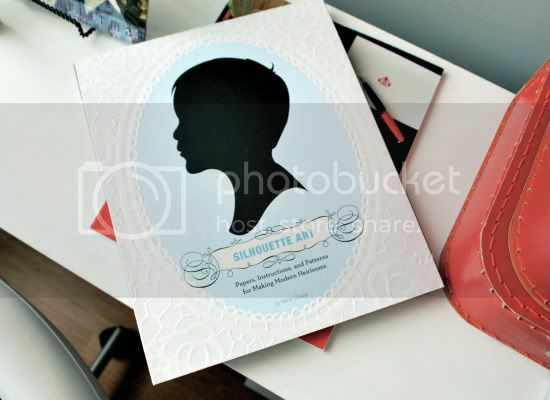 It started with me announcing the best news ever, my book, Silhouette Art with Chronicle Books. All the hard work and sacrifice was paid off when I finally received my first copy of the book. I can’t begin to describe the feelings. Words could not do justice. The book launched in the Fall just in time for the Holidays and it is now being sold in over 200 stores across the country, including Paper Source. On May I decided to start a PR campaign for Le Papier Studio. Snowball PR came on board and together we put my business on the map. Literally! 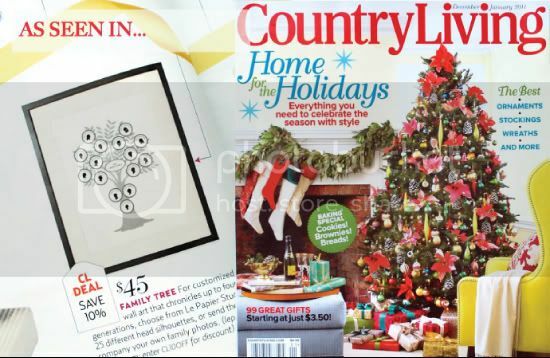 Le Papier Studio received some great press in just a few months, starting with Babble, Real Simple, Daily Candy Kids, Design*Sponge, and last (but certainly not least, Country Living Magazine. We’ve achieved so much in such a short period of time, and I look forward to another successful year ahead. On July I took the plunge and moved my studio outside my home into a physical location – and hired my very first part – time employee. This was a major decision and I am so happy I went through with it. Having actual studio hours helped me organize my schedule – keeping a balance between work and family. This showed off during the busy holiday season. With more work and a busier load than ever, I managed to keep focused and get things DONE! 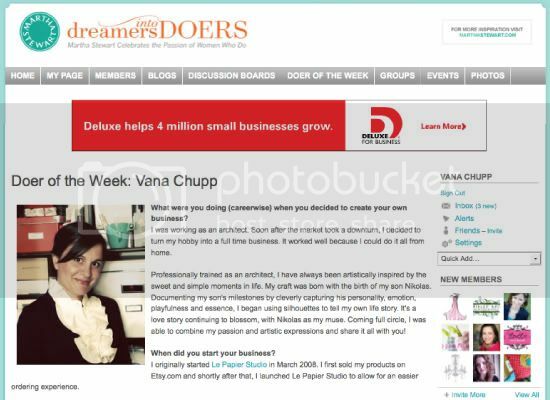 In November I was announced the Doer of the Week on Martha Stewart’s Dreamers into Doers Community. It was such an honor to be amongst some of my most inspiring women out there. I am particularly happy to be attending the Dreamers into Doers Workshop this January in NYC where I will get spend 2 full days with 80 women from all over the country. A viewing of the Martha Stewart Show is also scheduled to take place! 2010 has proved to be an amazing year both professionally and personally. I can’t imagine 2011 to be anything less! 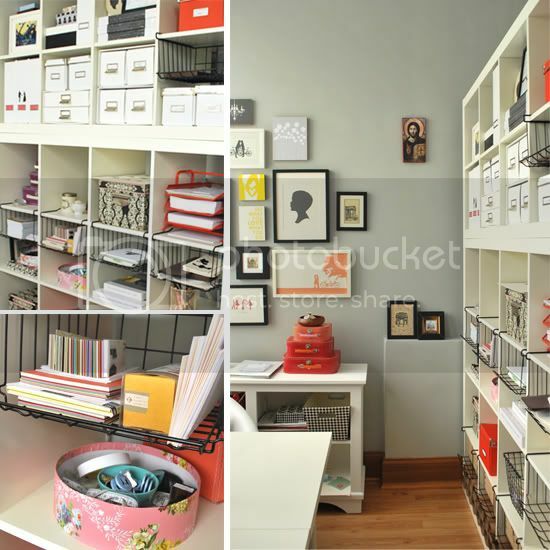 I have big plans for Le Papier Studio and I look forward to sharing them with all of you. So, thank you for your support during this past year! I wish you much peace and happiness in whatever it is that you’re about the embark this coming year! No matter what it is, MAKE IT HAPPEN! The post 2010 | Year Review appeared first on Le Papier Blog.